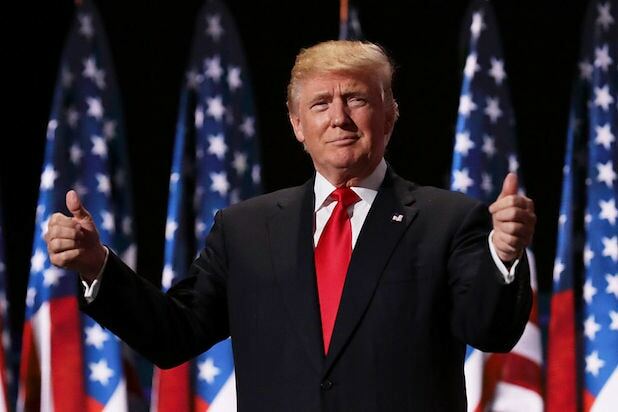 President Donald Trump broke a longstanding tradition on Thursday when he boarded Air Force One for the first time by not turning and waving as he entered the plane. 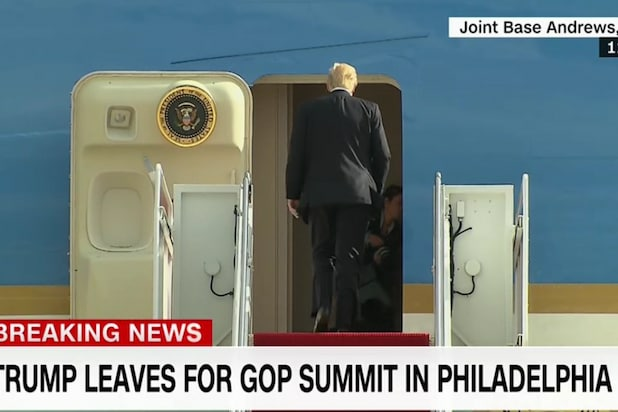 Trump was taking his new plane to Philadelphia to deliver a speech to GOP leaders when he failed to wave goodbye, as presidents have historically done in what is essentially a photo op. Right-leaning publications such as The Daily Caller are mocking the mainstream media’s outrage over the non-wave, while Hollywood Life blog seems legitimately annoyed. Fox News’ Chris Wallace joked during an appearance on “Good Day New York” that is was a windy day and Trump probably didn’t want to turn around and mess up his hair before the big speech. Trump probably simply forgot or wasn’t aware of the tradition, but POTUS watchdogs were quick to point it out on Twitter.